The latest Cygnus spacecraft to deliver cargo to the International Space Station (ISS) has been successfully launched by an Antares rocket from Wallops Island, Virginia at NASA’s Wallops Flight Facility, on its tenth operational mission. 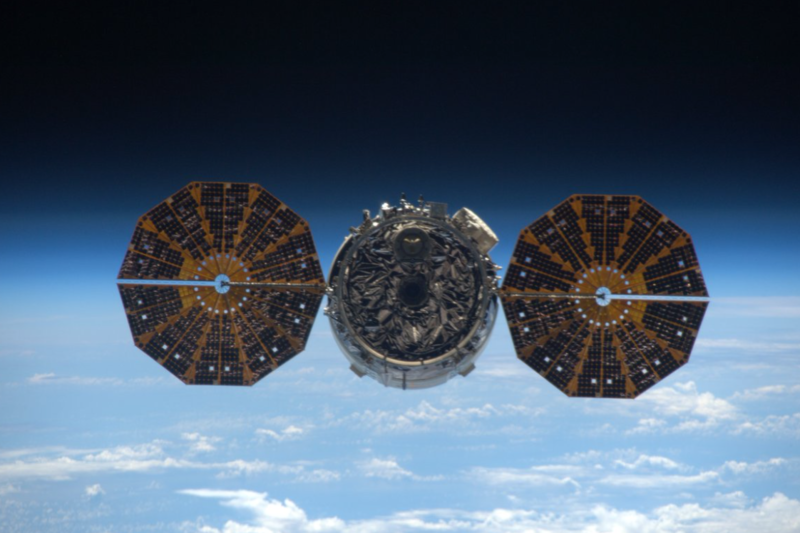 The Cygnus spacecraft comprises two main sections: the Service Module from Northrop Grumman (formerly Orbital ATK), and the enhanced Pressurized Cargo Module (PCM), developed and built by Thales Alenia Space, a joint venture between Thales (67%) and Leonardo (33%). This Cygnus was named in honor of American astronaut John Young, one of only 12 men who have walked on the surface of the Moon, commander of four different classes of spacecraft and former Chief of NASA’s Astronaut Office. After arriving at the International Space Station, Cygnus will be captured by the robotic arm and docked to the Nadir port of Node 1. 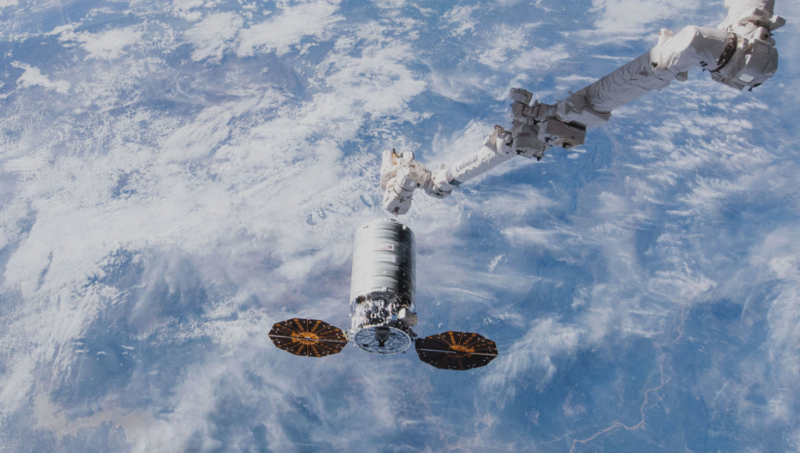 This latest Cygnus cargo spacecraft will be supporting a variety of scientific research efforts, including an investigation into the complex process of cement solidification to explore how gravity levels like those on the Moon and Mars may potentially affect concrete hardening; development of a mathematical model to show how an astronaut’s perception of motion, body position and distance to objects changes in space; and a test of the first integrated 3D printer, and recycler to turn waste plastic materials into high-quality 3D-printer filament to create tools and materials, a key capability for future long-duration space missions beyond low-Earth orbit. Thales Alenia Space has supplied cargo modules to Northrop Grumman since the start of the Cygnus program. The first contract in 2009 provided for the delivery of nine modules, while a second contract in 2016 added nine more. Eight operational PCMs plus a demonstration module have been launched to date, four in the original version and five in the enhanced version. Built by Thales Alenia Space using a new friction welding system, this new module features reduced weight and a more efficient design that increases payload weight and volume, while also accommodating irregularly shaped containers. This launch also confirms Thales Alenia Space’s ability to contribute to future space exploration missions and further expand the frontiers of knowledge. 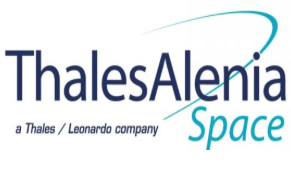 Thales Alenia Space has been chosen as a member of the Northrop Grumman team working on the NextStep2 study for NASA, which aims to develop LOP-G (Lunar Orbital Platform - Gateway) components. This new orbital infrastructure will comprise several pressurized modules, including habitation, utilization and logistics, which could be based on variants of the current Cygnus PCM design. The study recently completed its review of the design cycle 2 and kicked off the design cycle 3. The study’s results, along with studies by other industry teams, will be evaluated by NASA to define and consolidate the baseline LOP-G configuration before proceeding to the next development phase. The experience acquired through Cygnus production and operations provides solid foundations for proposed lunar exploration solutions.